We set quality assurance on top of our priority list because this is the only approach with which we ensure how satisfied our revered clients are going to be at the end of a project. QA or quality assurance is a systematic approach which happens to be entirely process centered and it ascertains that our clients get nothing but the best output from our side. We believe in complete satisfaction of our clients and therefore we choose to be highly meticulous in selecting the best of the breed QA testing technologies from the marketplace. Apart from roping in the best QA testing modes, methods as well as software we ensure that we hire top notch consultants and quality testing pros that will implement their practiced proficiency levels and ascertain optimal quality in the end product. 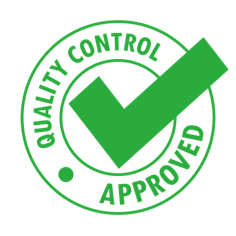 Quality control measures which we put into practice are all based on valued quality management principles. We pick up the quality control plots after having gone through quintessential aspects such as resources, responsibilities, organizational structure and core processes. Because of the smart adaptation of superior testing technologies and optimization of the techniques the ultimate upshot turns out to be revolutionary.